The U.S. Solid Medical Thumb Splint is a necessity for those suffering from osteoarthritis, arthritis, tendinitis, or have simply suffered a trauma to the thumb or thumb joint. This design is easy to put on and off, and comfortable enough to sleep in. 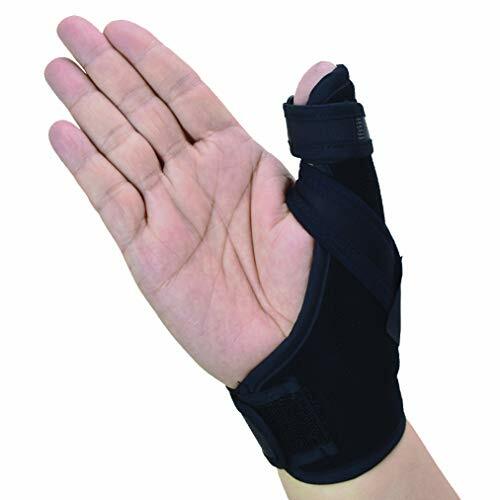 Many brace wearers struggle with whether to sleep with a bulky, burdensome thumb splint on at night. U.S. Solid takes care of that problem, with a sleek, lightweight design that provides the support you need, with the ease and comfort that allows for consistent wearability. This brace is simple metal encased in a soft fabric that is breathable and light. The brace is interchangeable, so it can be worn on the left or right hand. The stability provided by the splint will keep the digit free of further injury, while being as minimally restrictive as possible. All U.S. Solid products come with our personal guarantee of quality and satisfaction. This thumb splint is a genuine U.S. Solid product. If you have any questions or concerns, our friendly customer service staff is available to help and walk you through any problems you may have. If you have any questions about this product by U.S. Solid, contact us by completing and submitting the form below. If you are looking for a specif part number, please include it with your message.